The Renaissance Era was a period, during 1400s to 1600s, in history were the "rebirth" of classical architecture, art, philosophy, and literature. Renaissance architecture appears as the revitalization of classical elements, in buildings, it consist of a multitude of different architectural elements. The staples of Renaissance architecture consist of: The orders of columns , the domes on many of the Cathedrals, and the ornate masonry that accompanied the building's of the era. Look at an Architectural timeline of the renaissance here. This is a Collage meant to represent and illustrate Renaissance architecture. It contains pictures of different types of buildings of the era along with the architects responsible for shaping the era's architecture. The collage is organized into to separate columns on the left and the right, this is to symbolize the most utilized element of the era, columns. The building in the center spans across the entire collage, in order to tie in the entire illustration. This bright colors on the top left are a way to symbolize the incorporation of painting in the cathedrals of the era. 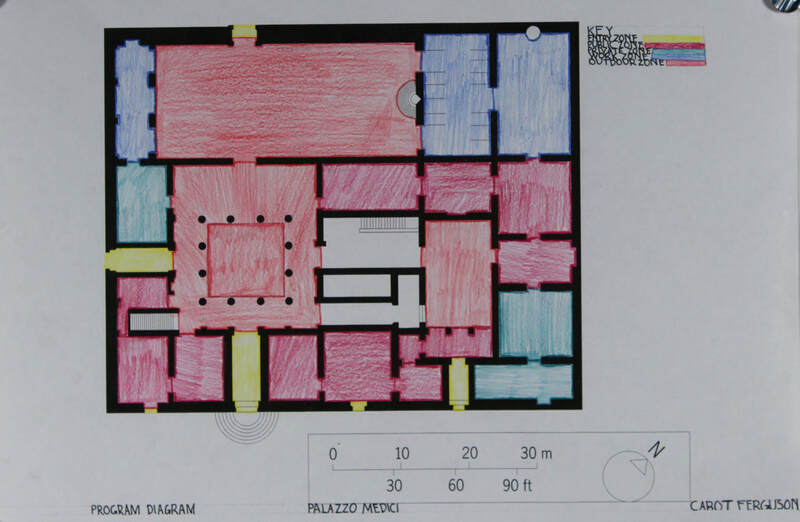 The building that I analysed was the Palazzo Medici-Riccardi, a palace located in Florence. 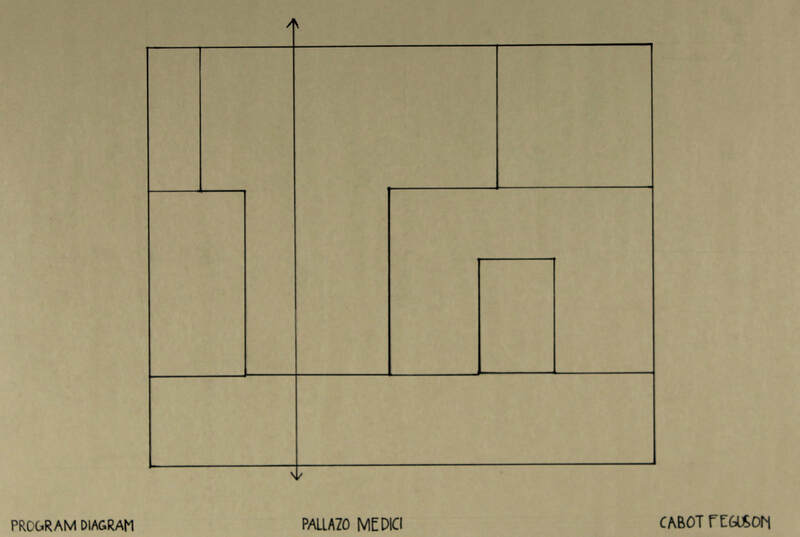 it is a 2 story residence in central Florence and is relatively simplistic, but is a good example of the format of a resident designed in the 15th century. By building is a western European Renaissance church, it's 130ft by 260ft and is a total height of 220. My design has many of the elements found in Renaissance architecture including; domes, composite columns, intricate facades, reliefs, and manipulation of light. The complex masonry and free flowing nature of the design, should allow it to fit in with the other cathedrals of the time.